"An urgent, often corrosive look at America's past and present." 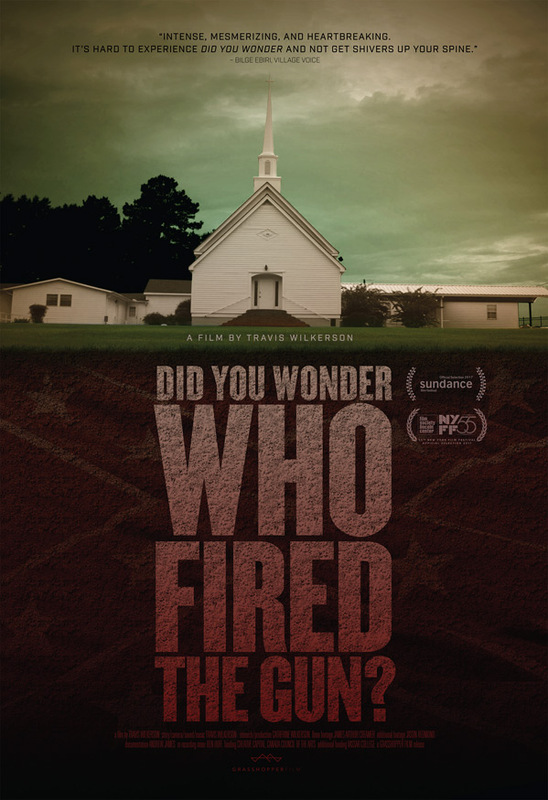 Grasshopper Films recently released this official trailer for a highly acclaimed documentary titled Did You Wonder Who Fired the Gun?, made by filmmaker Travis Wilkerson examining his own family history. This premiered at the 2017 Sundance Film Festival, and also played at the New York Film Festival, with a limited release coming later this month. Set in Alabama, the film is about the filmmaker's great-grandfather, who murdered a black man in 1946 and got away with it. So he decides to look back at what happened, a personal reckoning with family, murder, and the corrosive racial tensions that have carried from past to present. This trailer doesn't reveal too much, but it does give you an idea of the look and feel of the film, which seems to have a unique highly-saturated tone. “In 1946, my great-grandfather murdered a black man named Bill Spann and got away with it." So begins Did You Wonder Who Fired the Gun?, filmmaker Travis Wilkerson critically acclaimed investigation into the murder, family history, and the societal mores that allowed it to happen. Wilkerson tells a frightening and troubling story, incorporating scenes from To Kill a Mockingbird, the music of Janelle Monáe and Phil Ochs, and a dogged search for the truth — one that unearths long-buried secrets, destroyed records, and real threats of violence. Did You Wonder Who Fired the Gun? is directed by American filmmaker Travis Wilkerson, of the docs An Injury to One, Proving Ground, Distinguished Flying Cross, and Far from Afghanistan previously. This first premiered at the Sundance Film Festival last year, and also played at the True/False, Locarno, Denver, and New York Film Festivals. Grasshopper Films will release Wilkerson's Did You Wonder Who Fired the Gun? in select theaters starting February 28th later this month. Interested?